I am often surprised by what God communicates while I move on a labyrinth. 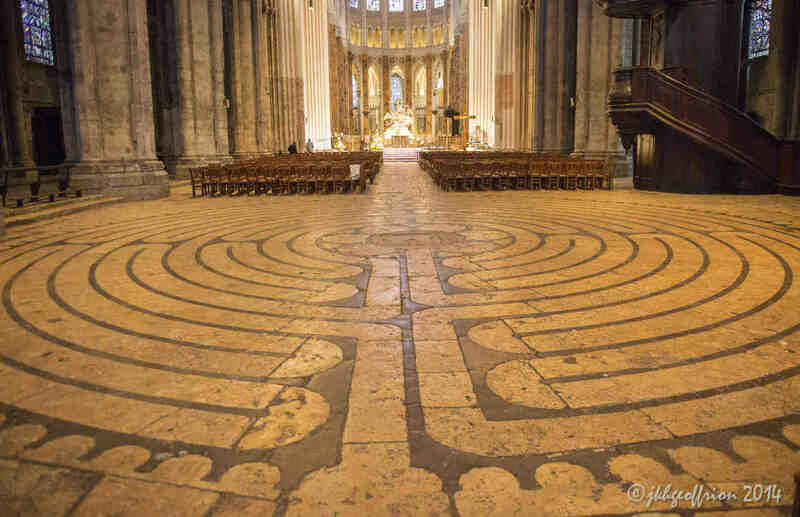 While walking in God’s presence, it seems easy, even natural, to accept what I “hear.” This is one of the great gifts of praying while using a labyrinth, the turning path seems to support fluidity in me. 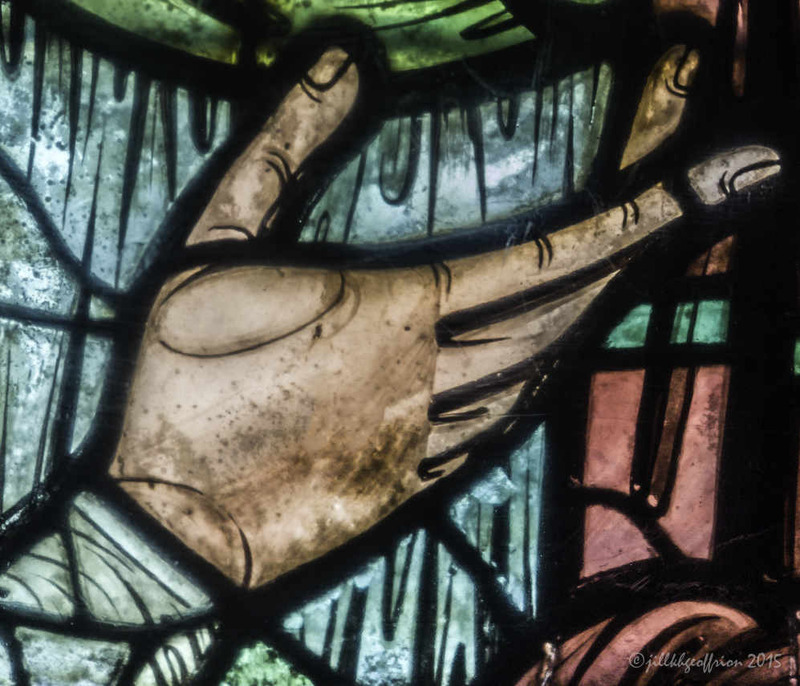 Has God communicated something surprising to you recently? As you consider it anew, what prayers are emerging in your heart, mind, body, and imagination? Pray them now. 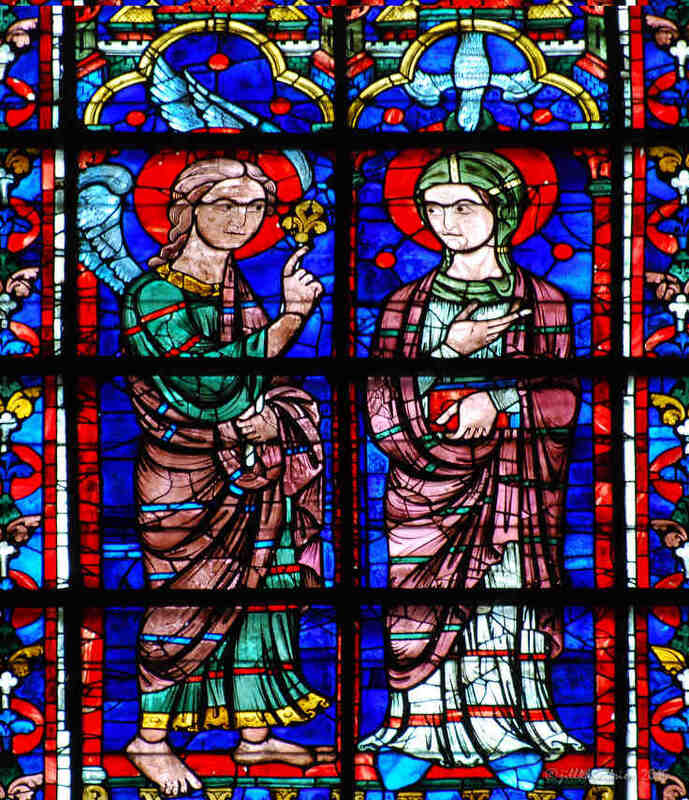 The annunciation of Jesus’ birth by the angel Gabriel to Mary. 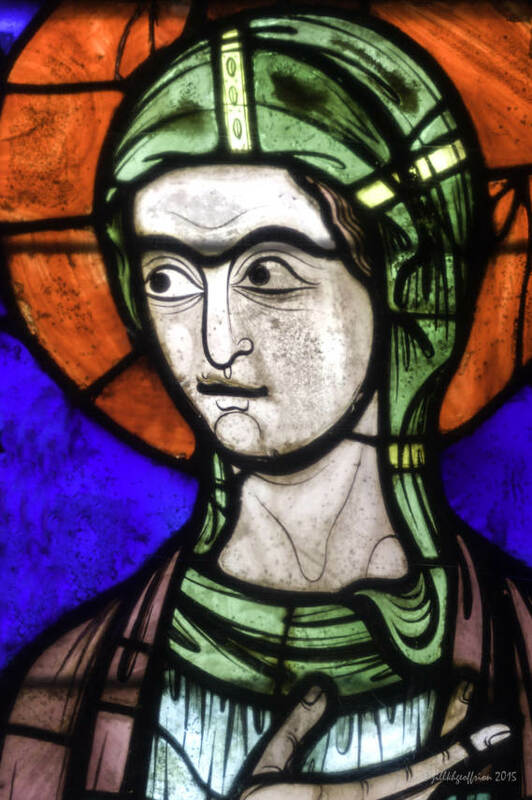 The central window in the East of the Chartres Cathedral in France. This image is visible from the entrance to the labyrinth and on the four straight paths that lead toward the center. It is the directly in front of a walker as s/he enters the center.